Recently, the results of marijuana usage (dried cannabis flower clusters) for medicinal purposes – from the effect of antibiotics to significant improvements in the condition of patients suffering from neurodegenerative diseases (Alzheimer\’s disease and Parkinson\’s disease) have been widely represented in scientific communities and the media. Cannabis revealed its miraculous power in the treatment of various types of tumors (cancer). Let us fix on the status of so-called social drugs. A social drug is any narcotic substance that is associated with the collective consumption of or in any way facilitates the interaction of individuals with each other. The most famous social drug of the modern world is alcohol, and since recently – tobacco. Both of these drugs come laden with a risk every one of us knows about. Every human society is characterized by its typical social drug. We mean football fans and alcohol, dance parties and extasy, eco fans and tea, hippies and marijuana, Siberian nomads and fairy-mushrooms, and many other ethnic, cultural and other groups. This wide range does not indicate a deep need for social drugs. It is also clear that there is at least one person in a hundred who have never tried any of these drugs. However, there is no denying that social drugs play a role in teambuilding, de-stressing or striking up new acquaintances. Cannabis is also a social drug; moreover, it is the least dangerous one. It enhances communication skills, stimulates good mood without causing aggression and without leading to an overdose. It can be said that the effect of cannabis is opposite to the effect of alcohol (the most popular social drug in the world). Causing aggression alcohol removes all forbiddances and limits our conscious mind. Cannabis suppresses aggression without destroying taboos and expands horizons for new knowledge. So we got to the bottom of the social drugs problem. Marijuana (unlike many other drugs) acts as a regulator of emotional and physical condition in the social plan, thereby let us avoid the escalation of conflicts that occur in any society from time to time. And in the case of conflict, cannabis (not being emotional catalyst) does not provoke escalation up to violence or other damages. It allows users to maintain spiritual integrity. The next problem is stress and marijuana. Stress is an integral part of our lives. In some way stress is even useful and sometimes necessary – it forces us to move forward. However, stress can develop into chronic and harm our health (stress-induced cortisol damages our tissues and disrupts the biochemical processes in the body). A person under stress may behave inappropriately, he/she has a reduced learning capability, and discredit brought to the people around him/her. There are many ways to deal with stress, but we will consider the impact of social drugs. They are often used for this purpose. A cigarette before an exam or a glass of something stronger before an important event – these are typical examples. Cannabis can help not only eliminate, but also prevent stress. People believe cannabis consumers are apathetic, but that\’s only half of the truth. Such people do not lose their ability to have fun, smile and enjoy life, but their stress limen is reduced. Many researchers argue that this is the most effective medicine in the treatment of chronic (long-term) stress. Cannabis opponents consider using it in stress you just avoid problems. However, cannabis is not a means to avoid problems; it is avoiding the stress itself that brings problems. It is always better to solve the problem without nerves than to solve it under pressure. German scientists at the Max Planck Institute of Psychiatry conducted a test in mice. The animals were exposed to certain tone with a weak electric discharge. Once scientists have stopped electric discharge leaving only the tone the mice continued to demonstrate panic reaction but calmed down eventually. Subsequently, cannabinoid receptors associated with neurons were detected in the mice brain. Mice with remote cannabinoid receptors could not recover from the shock and to each tone responded with different symptoms of stress. There is no reason to think that exo cannabinoids act differently than endocannabinoids. Based on the results of the experiment the scientists have concluded that cannabis can play an important role in the treatment of stress disorders. At some stage of their lives many people face weak or strong form of bipolar disorder (which is also called manic-depressive psychosis). The disorder involves the mind, and the mood goes from one extreme to the other. Manic phase when a person is full of energy and enthusiasm is replaced by depression. The sudden change of one phase to another is a common phenomenon in case of such disorder. Such differences may be caused by the slightest changes in their lives. Bipolar disorder is the most common disorder in adolescence, and its first symptoms often are shown in childhood. One particular physical dysfunction is not probably typical for bipolar disorder. 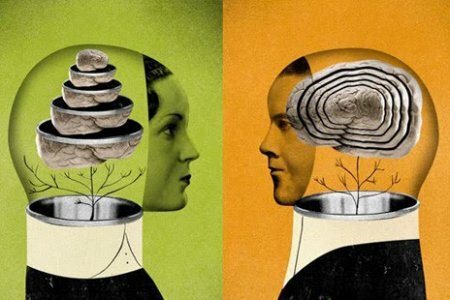 It is rather a combination of different reasons, which makes it almost impossible to cure bipolar disorder with psychological or psychiatric means. The most effective treatment is a significant change in the environment with the exclusion of typical factors of manic and depressive phases. As the disorder develops manic phase disappears, and depressive phase progresses. In this case, bipolar disorder can develop into a phase of severe depression. A person becomes apathetic to his/her environment and his/her own needs. The pendulum action of mood swings works at the early stages of the disease. The stronger mania is, the more severe depression will be and vice versa. Cannabis is able to control effectively the both consequences of the state: mania and depression. In connection with the above-mentioned effect of the pendulum each use of cannabis reduces the amplitude (maximum – minimum) of this deviance. So, the next state will not be so extreme and the long-term treatment will help to eliminate this disorder. It is important that a consumer has already had an experience of using cannabis, or has an experienced adviser. Otherwise, anything can happen with a person suffering from bipolar disorder. Taking cannabis without any experience or control can lead to unpredictable consequences. 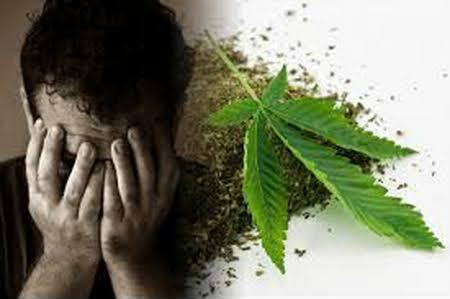 Cannabis should head the list of drugs that are used in treatment of mental troubles. Psychologists also must know how to communicate with such patients. They must know how to calm the patient and to clear his thoughts using cannabis. Depression is a very complex phenomenon. Clinical depression is a condition in which a person becomes sluggish and does not feel the need to do something. In the broad sense of the word, depression is a synonym for any anxiety, which is accompanied by a sad mood. Let`s begin with clinical depression which is often caused by stress. This condition is characterized by the fact that a person cannot cope with an emerged tension and begins to push away the world around. The main symptoms of clinical depression are sadness, disgust for life, an inability to enjoy, loss of appetite, and much more. Despite the mutilate image of marijuana distributed by the media, it is impossible not to recognize the fact that cannabis causes the opposite syndromes. So cannabis should be used for the treatment of serious impairment of consciousness. Depression in general sense is an anxiety. 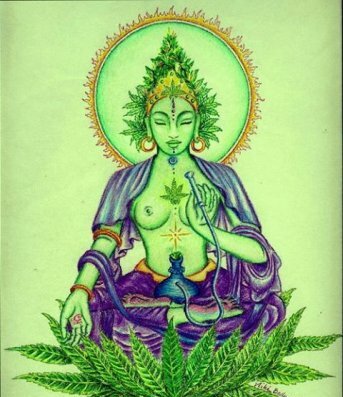 Cannabis gives a person the opportunity to change consciousness. Consciousness expands under the influence of cannabis; sensations and feelings become more absolute and stronger. But you need to learn this, of course. Once a person possesses the necessary experience, he will be able to use cannabis as therapy to get rid of any unwanted or depressed mood. Every one of us has tried to get rid of unwanted thoughts, especially if you want to concentrate on something opposite. Small amount of cannabis is a really powerful tool in this case. The relaxation after marijuana does not always occur; sometimes you have to help yourself by means of an easy meditation during which it is necessary to focus on your breathing. Psychiatrists use antidepressants mainly in the form of SSRI (selective serotonin reuptake inhibitors), and SNRI (serotonin-norepinephrine reuptake inhibitor). Serotonin and norepinephrine act as carriers of nerve signals in the brain and their lack leads to depression. These drugs have many side effects: nausea, vomiting, tension, loss of appetite, decreased libido, mood swings, and aggravation of suicidal tendencies. And these are the third generation medicines which have less negative effects than the previous generation of these drugs! The side effects of these drugs are completely opposite of what antidepressants should cause. Cannabis has none of the aforementioned side effects. On extraordinary occasions only cannabis can cause nausea, vomiting, and loss of libido. Many of the positive effects of cannabis mentioned above may be directly or indirectly related to the recent discovery made by neurologists at the University of Saskatchewan (Saskatoon, Canada). A group of scientists confirmed antidepressant properties of THC analogues. Besides, they found that cannabis does not kill brain cells (unlike alcohol, heroin or cocaine), but on the contrary it stimulates the growth of new neurons. The highest growth of cells after consumption of cannabis is observed in the hippocampus – the area responsible for learning and storing the information. It debunks the myth that smoking marijuana causes memory impairment.